Like all Merito products, our stainless steel serving trolleys are precisely tailored to your needs. This means that our products can be adapted exactly to your needs and to any particularities, such as a limited workshop. 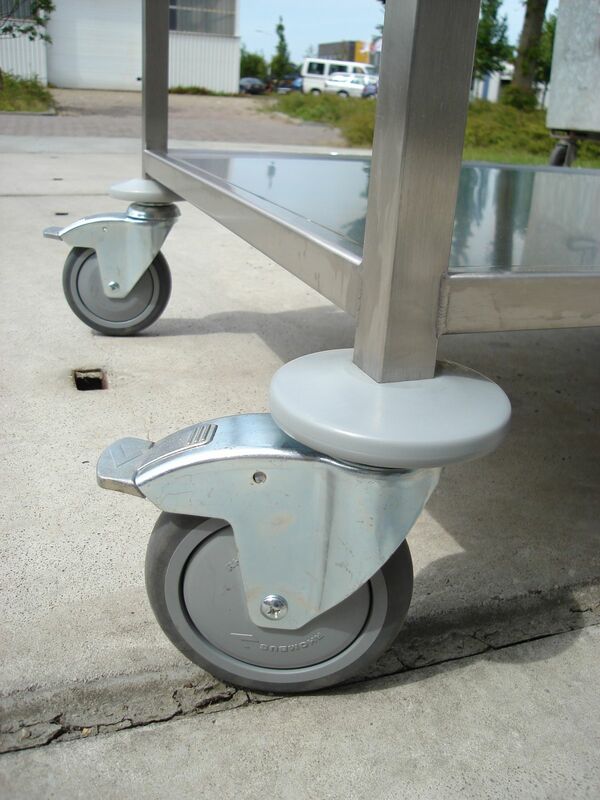 For example, square or rectangular serving trolleys, trolleys adapted to legroom or adjustable platforms. Stainless steel is easy to clean. We can also adopt other important elements to your individual situation like size, height, sidewalls, doors and brake systems. Of course, we can also adapt to your requirements and individual situation. 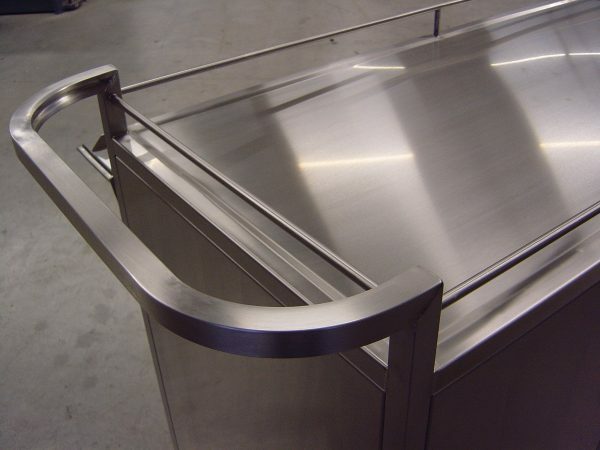 Stainless steel is easy to clean. This makes hygienic transport of food and beverages possible. Our stainless steel serving trolleys are seamlessly welded to a stable and rigid construction. We attach great importance to a firm grip and stable construction. This is important in order to offer maximum comfort and safety. This is especially true for hospitals, educational institutions or institutions for the disabled. 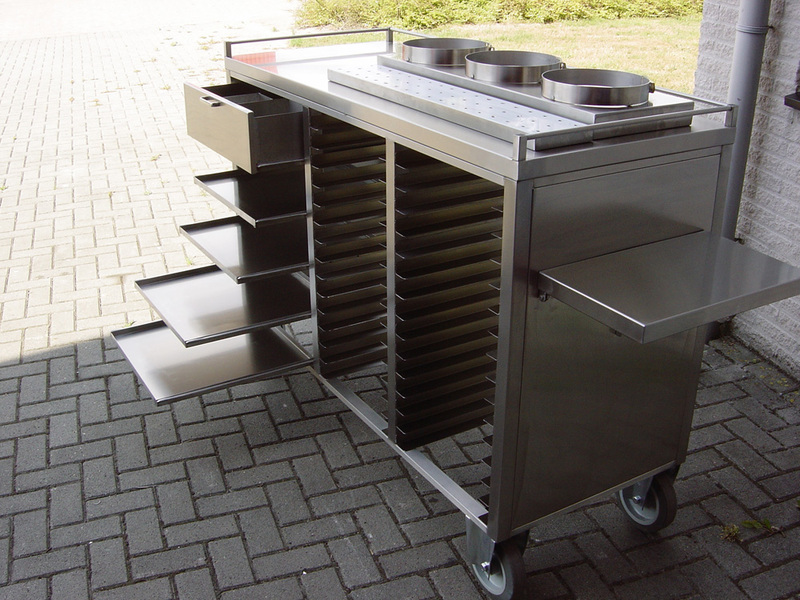 Since stainless steel is heat resistant, both cold and hot dishes and drinks can be transported without any problems. 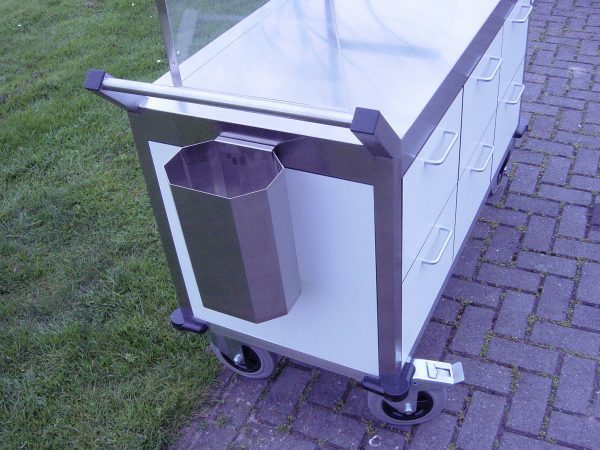 Our stainless steel serving trolleys are also suitable for serving non-food products, such as decorative objects or dishes. Thanks to our experienced team we can deliver a quality product that suits your company and personal situation. 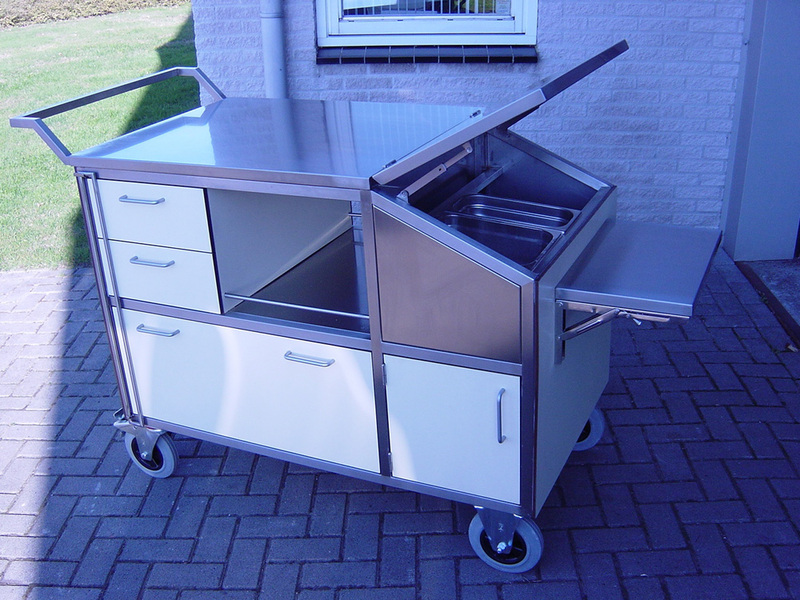 Many of our tailor-made serving trolley models are used in various industries. 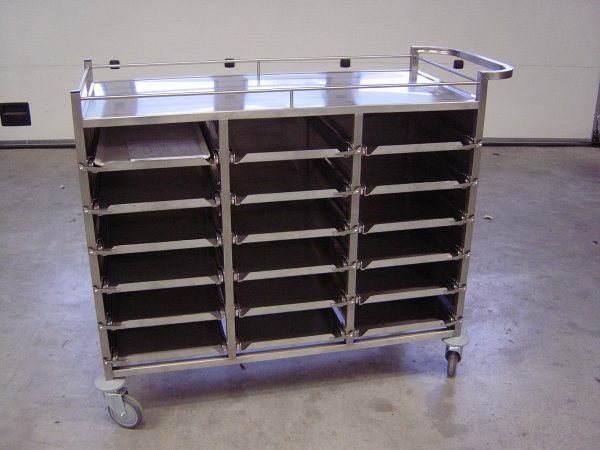 The connecting factor is that all our serving trolleys contribute to a smooth work-flow. 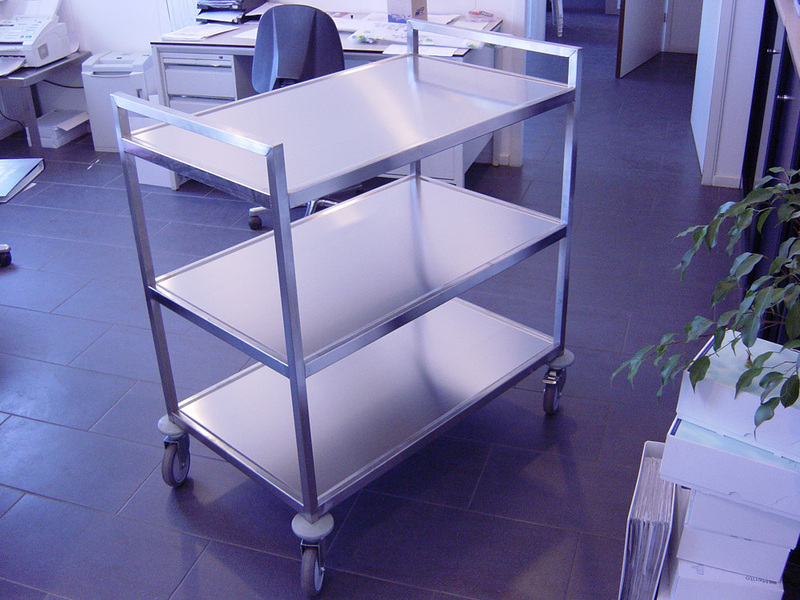 Merito’s stainless steel serving trolleys are particularly durable and stable and deliver a considerable ROI.